Perfect combination of mini Niagara and multicultural Ottoman empire trace in just one day. In the middle of dense Bosnian forest, lies Kravice waterfalls; the mini Niagara. They will amaze you with untouched beauty, cold breeze and clear pools that stream around the waterfall. 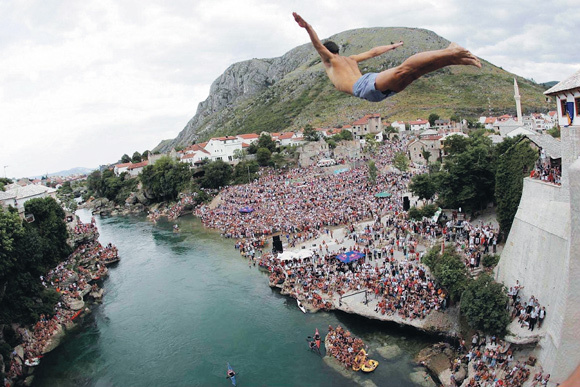 From this oasis of nature, you will jump into picturesque, dynamic, multicultural Mostar. It will take you back to the 16th Century and walk you through the beat of the Ottoman empire. every day from 15.3 till 1.11.